Once again we see that Car Wars was real. Yes, it's a light cycle mounting a 75mm recoilless rifle. 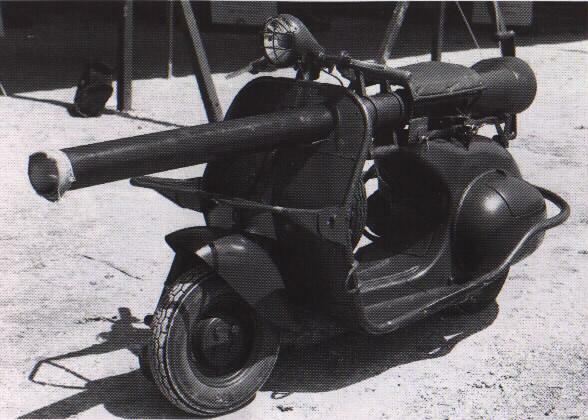 A genuine French military vehicle which saw action after WWII . . . and, if the site can be believed, it did NOT have to stop moving in order to fire.